Just DIY installed my own set of 3D Rotary Tweeters for the GLCs with non-Burmester (ie. Audio 20) setup. Everyone knows by now the Audio 20 do not come with tweeters and the wing mirror area grilles are empty. Stock sound is passable for my non audiophile ears, but it could be better. I don't feel like spending 3-5k on aftermarket Burmester. The effect is amazing.... Especially if you have installed tha matching matt silver speaker grille covers for your mid speakers in the doors. The led lights will match the 3 colours of your original ambience light automatically. The center round piece will light up and rotate out on start up. Will retrack back when power down. There is an immediate improvement in the sound quality with better clarity and staging. It does so by hijacking rhe original signal to the mid range speakers and split the higher frequencies to the tweeters and sending the rest of the lower frequencies back to the mid range door speakers. 👍🏻👍🏻👍🏻 Saw taobao selling for c class as well. If not wrong need to remove door panels to take out the side speakers and install the 3D speakers. Don't pay the listed price for GLC. I managed to haggle the price down to about ¥2800 shipped to my parcel forwarder in GuangZhou. After that is just another $10-$12 of shipping to Singapore. Just tell the seller you do not need the installation service to kick start your bargaining. Not sure if it can be fixed on Burmester but I don't think I will meddle with Burmester tuned setup if I have. Have to remove the door panel to install the tweeters. Not difficult. If anyone keen to do this I can create a step by step DIY guide on door panel removal and how to connect the wires. Looking good in and out. If there is a grp buy, I'll be interested. a step by step guide will be appreciated bro. thanks for the great intro. You can buy directly from this website, gzcarphone.com, I bought it for 300USD, but you need to pay for courier charge. The sales guy is call Melo Zhang. 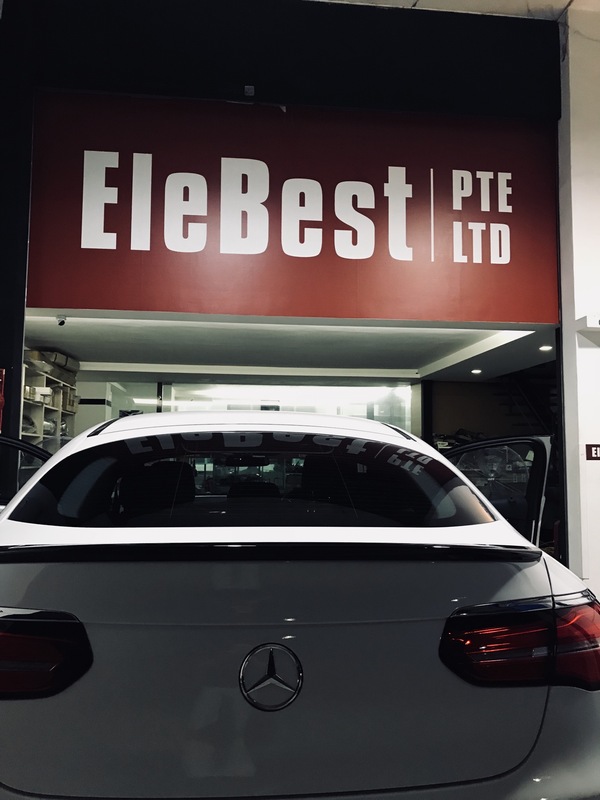 They do have others things for our car such as Air balance and air ioniser, however, you need someone who have the Mercedes coding system to activate it and do the installation for you. Just added tweeters on the A Pillars worth the add on as the stock no tweeters on them. 3D tweeters or original tweeters? Price? How's the quality of the product? Can share with me the step by step DIY guide? I'm interested to do it myself. Thanks. I just order from this site gzcarphone.com at USD360.00 include shipping as well. have you order yet, if so....maybe we can meetup and DIY it together. got the shipment this morning and already installed up. I get someone to install for me as I got trouble to even take out the complete door panel.....there is this one last clip on the top panel....damn hard,lol. 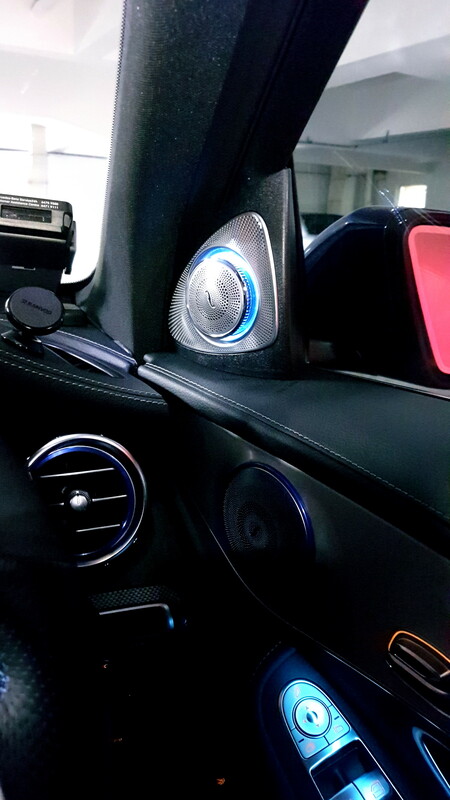 anyway for those who ask whether can this 3D tweeter installed on the burmester sound system, the answer is yes, as mine is burmester sound system too. so now I got the spare burmester tweeter since I installed this 3D tweeter....if anyone keen....I can let go at $300.00 include installation. mind sharing the damage for installing these rotating tweeters? TIA. you can order from this link as they posted above. 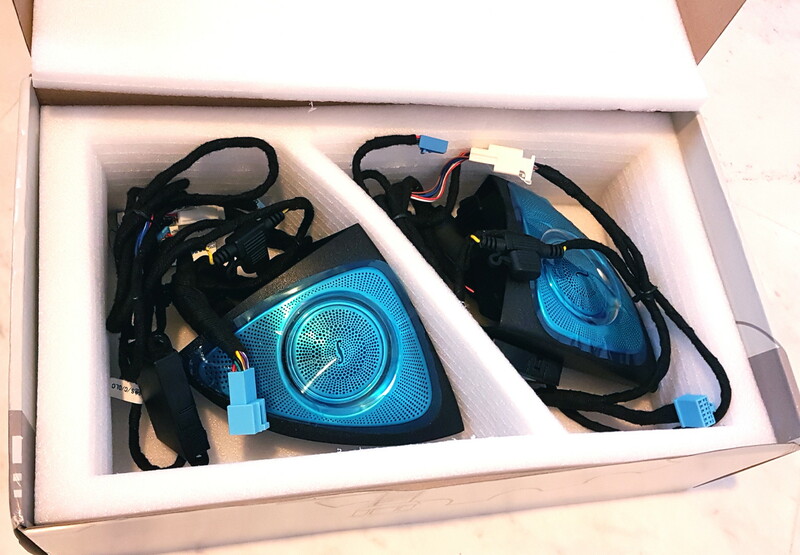 I also order mine from there too, they accept paypal payment and took less than a week to arrive here, I paid USD360.00 including shipping to here and $200.00 for installation as mine already installed the burmester tweeters, hence need do some wiring job and install these rotating tweeters. don't bother to check outside...as the cheapest I ask around was $1500.00 just for this tweeters and most of them also getting from the same source...you can just buy yourself online and I will intro you the shop to install. Bro, yours already have burmester and you installed these rotating tweeters right? Any idea if the wiring job is difficult? yes mine already have the burmester. you mean the wiring job to install this 3D rotary tweeter? your system got any tweeter now? then why not replace the whole 3D rotary speaker instead, they are using original tweeter speakers as well. you can order from the link above. your burmester is factory fitted or install with elebest?